Shareholder Arthur Saito works out of our Portland office and manages our Astoria office. He has practiced law in Oregon for fifteen years. Before joining Stahancyk, Kent & Hook, Arthur worked at a private law firm in Hillsboro, Oregon, and then for St. Andrew Legal Clinic’s Washington County branch office, where he provided legal representation in the areas of domestic relations, adoption, and estate planning. Arthur is a member of the Board of Directors of the Washington County Bar Association. He is also a member of the Multnomah County Bar Association. In 2009 and 2008 Arthur inspired members of the SK&H community to turn out for the St. Andrew Legal Clinic Race for Justice. Arthur’s efforts garnered SK&H the Largest Team Award two years in a row. He also received the Night Clinic Volunteer of the Year Award from St. Matthew Legal Clinic in 2000 and was awarded an Outstanding Service Award from the Multnomah County Volunteer Lawyer’s Project in 1995. Arthur’s interests include an active passion for history and collecting Asian antiques. “Arthur handled my divorce case with care and helped me to understand every aspect along the way. He was willing and able to answer any questions I had. I felt relieved in knowing that he didn’t make quick decisions about the case, but considered various scenarios and outcomes to choose the most beneficial path. The rest of the office staff was always friendly and made me feel very welcomed and important when I arrived for meetings with Arthur. “I recently received excellent legal representation from the firm of Stahancyk, Kent & Hook, especially from Ms. Jody Stahancyk and Mr. Arthur Saito. If anyone is in need of attorney’s who specialize in Family Law and Divorce, this firm will provide the best team possible in Oregon and on the West Coast! Mr. Saito, as the main lawyer on my case, represented me and my divorce proceedings with first rate advice, while at the same time a level of compassion that made an emotional separation/divorce as bearable as possible. I highly recommend him and the firm of Stahancyk, Kent & Hook without any reservations.” — K.B. “Mr. Saito recently served as my attorney in a custody matter. From the moment I walked into Mr. Saito’s office I was treated with care, concern, and respect. I could tell from the first meeting that Mr. Saito cared about what was happening in my life and had the ability to handle my legal situation. Mr. Saito went out of his way on multiple occasions to make himself available to me, make me feel safe, confident, and empowered. When the other party was attempting to rile and intimidate me, Mr. Saito helped me be strong and gave me the tools to rise above. He guided me to handle certain situations on my own as I saw fit but took immediate charge at just the right times. He payed attention to me as a person as well, asking on multiple occasions how I was doing emotionally and reminding me that I had to take care of myself. Mr. Saito handled my case in a confident and competent manner and I was well informed throughout the ordeal. Mr. Saito was also sensitive to my financial concerns and helped me reduce costs while resolving the case with a positive outcome. I feel so happy to know he was on my side! At all times knew my case was in good hands. I recommend Mr. Saito without hesitation to anyone who needs an attorney to handle a family law matter and he will be the first person I call if another situation arises!” — Heather S.
“I had to leave a 35 yr old marriage. I couldn’t have found a more competent, supportive lawyer to steer me through a divorce than Arthur Saito of Stahancyk, Kent and Hook. I live on the coast and was able to use the Astoria office, saving me the long drive into Portland. Lawyers have an unpleasant reputation, but I found Arthur to be intelligent and compassionate…a true friend in a distressing time of my life. I learned so much about the legal system from him that I now feel competent reading legal documents! He was always polite and kind, even to the opposing counsel and found ways to give me the best possible outcome. Thank you Stahancyk, Kent and Hook!” — Wendy S.
“I selected Arthur Saito to represent me in a divorce after interviewing at least five other attorneys from the major firms in Portland. Ultimately, I chose Mr. Saito because he was interested in doing the right thing for everyone affected by the divorce. He was honest, fair, and thoughtful. Mr Saito is not a showman or a junk yard dog, he is a professional. I wanted an expert, not someone I would have to manage, and that is exactly what I got. I cannot thank Mr. Saito enough, as he really went the extra mile for me. We have numerous meetings early morning or late at night after my kids were asleep. I don’t think I know any other lawyers who routinely display the level of compassion, competency, and professionalism that Mr. Saito demonstrates. 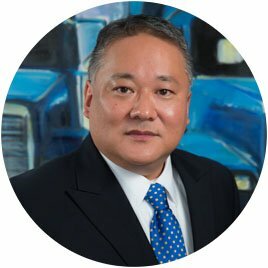 I would not hesitate to recommend anyone to Arthur Saito.” — Mark D.
“I was referred to Arthur by a trusted friend and as soon as I met him, I knew he was the person to trust with my divorce. It was not an easy time in my life and Arthur and his amazing staff reassured me that they would take care of me and make sure the settlement was fair and equitable. They kept their promise. Emails and phone calls were always responded to quickly. Arthur is very knowledgeable and I would trust him with any future needs. I was always treated with respect and I was able to keep my dignity throughout a personally painful process.” — M.T. “I came to SK&H several years ago, seeking information on the divorce process. I wasn’t certain that I would need a lawyer, but was ignorant to the process, and having heard horror stories from others, felt it might be prudent. I was recommended to SK&H by a co-worker who found out too late that you should never go to a gunfight with a knife, or maybe more appropriately, being protected by a Chihuahua when a Rottweiler is needed. I met with Laurel Hook, the managing partner of the firm, who took me through the process. At the end of the meeting, I felt that I was better able to make decisions regarding my legal representation, but held out hope that I wouldn’t need it. I will never forget the last thing that Ms. Hook said. She stated that my circumstances were such that mediation was the best path should a divorce actually be the right choice. She stated that while SK&H would be happy to represent me, the better path (cost and time-wise) was to mediate a solution. In other words, she was talking herself out of a client. Frankly, I was taken aback by that, having grown up with all of the usual biases regarding lawyers. When it became apparent that mediation wasn’t going to work, I returned to SK&H seeking representation. At that time I was assigned to Arthur Saito. Thankfully that was the case as Arthur and I hit it off from the start. I found Mr Saito to be honest, almost brutally so, hard working, and committed to protecting my interests at all times. There were many nights where it was obvious that he had been working all day, but met with me late, accommodating my work schedule. Numerous times he went out of his way, meeting with me at 7am, again accommodating my schedule. As the divorce proceeded, and as things began to devolve into levels of nastiness that completely overwhelmed me, Arthur stood tall, providing solid footing for me to stand on. As the threats became more personal, and more outlandish and dishonest, I began to contemplate giving in. It was at that point that Arthur truly showed what an incredible advisor he was. He basically protected me from me, relying on his many years of experience, seeing what the threats really were, just empty accusations from a desperate person. The stronger he stood his ground, the more I took to defending myself. His defense of my character, and my rights, ultimately made the difference when the divorce was finally approved by the court. Arthur then went on to shepherd the QDRO process, ensuring that the necessary information was given to the lawyer handling the QDRO process. I could never have known just how ugly the divorce process could be, having tried to live my life as positively as possible, never thinking that people who professed to love you would then resort to such ugliness for the sake of money. I look back on the process I followed and know without a doubt that I make the right choice of representation when I hired Arthur Saito to take my case. I’m thankful that, when push came to shove, I came to the battle (as it truly was one after two years) with the right person. I will say this, the original advice I received was only partly right. You need more than a Rottweiler. Yes, you need someone capable of fighting the good fight, but you also at times need someone to tell you what you need to hear, even when you don’t want to hear it. You need someone to protect you from you. You need someone who is going to tell you the tough stuff, and that person needs to have created a relationship where that trust is possible. Arthur Saito did that for me, and I’m 100% convinced that my situation is the norm, not the exception, with Arthur.” — D.F.